Hello there! How have you been? This week has been a lot less manic than the past few have been! The fact that I now had time to relax, meant that of course I came down with a cold. I had to revisit my old post of why having a cold can be a good thing to remind myself! (If you missed it you can have a read of it here). On Sunday I literally spent all day in bed, but I kept myself entertained by watching Brave and Tarzan. I had never seen Brave before, and I really liked it! I don't really know what I expected the storyline to be, but it was nice to watch something with a different plot to it. I remember seeing Tarzan at the cinema (I just looked up when it came out-1999?! That makes me feel old) and I think I had it on a recorded video, but I didn't like it enough to constitute getting the actual video. With that being said, I somehow know all of the songs, so I really enjoyed actually seeing how they all fit together! The rest of the week went along as usual- going to lectures/seminars with the odd coffee trip with friends here and there! However, last night my friend Megan (who also has a blog, check her out here!) and I went to the Lyceum Theatre in Sheffield to see a production of Cinderella as a ballet. I have been to see Sleeping Beauty as a ballet before and I really enjoyed it, so when I saw that there was an upcoming production of Cinderella I really wanted to go! It was amazing; the clothes, the set, the dancing, just all of it! If the production is coming to a theatre near you, I'd definitely try to go and see it! Whenever I go to the theatre I always think, why don't I go more? I've got a booklet of the upcoming shows, so I'm definitely going to try and go to something! 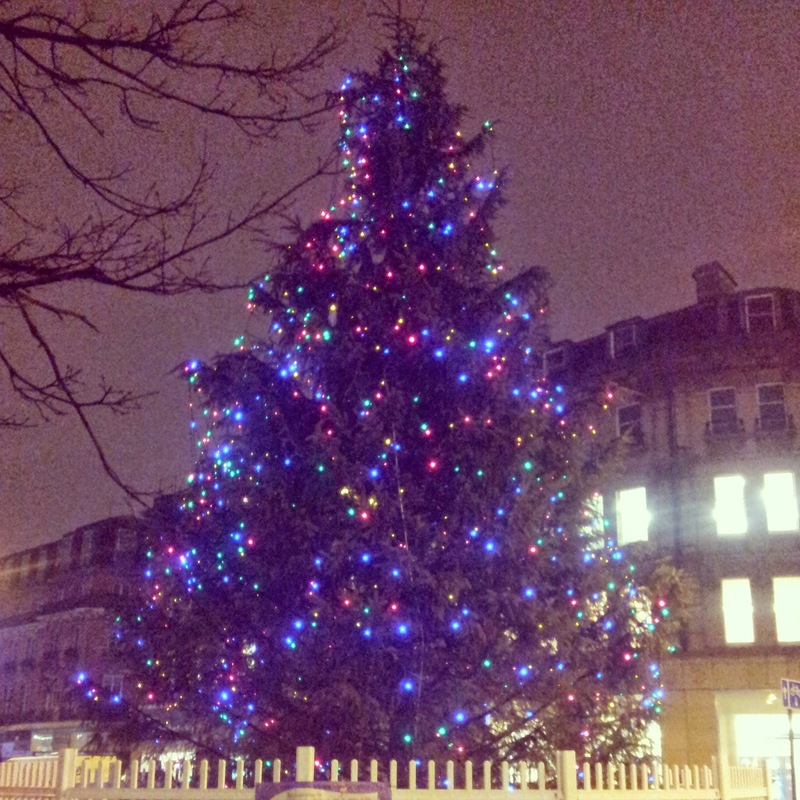 The Christmas Tree in town is just so pretty! Hello there! Today's post is going to be the first of a new feature here on my blog. At the end of every month I will be doing a 'monthly favourites' post, where I share with you everything that I have been loving for the past month. So let's get on with it! 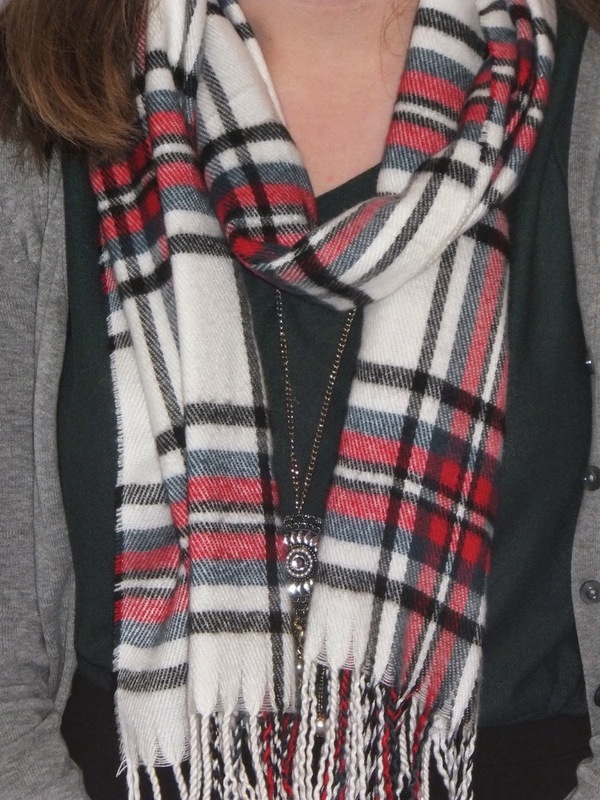 I have wanted a tartan scarf for absolutely aaaaaages, and I managed to find one when I went into Urban Outfitters. I had been on the look out for a red tartan print, but as soon as I saw this, that went out of the window. This scarf is honestly one of the softest that I have ever owned, and is so snug to wear this time of year (especially as it has now become a lot colder!) What is also great about this scarf, is the fact that it goes with everything so there's no worry of having to find a different one before you leave the house! I bought this back at the end of the summer as a jacket that could be worn in that in-between stage of the seasons. It's from Topshop and is worth every penny that I paid! The body part is fleece-lined which makes it snug when it is cold, but as the arms don't have this lining, it is able to be worn if it is a bit warmer. I have worm this a lot this month, but I don't think I'll be able to wear it quite so much anymore and will have to go on to wearing my full on winter coat! No matter what time of year it is, I do love having a cup of coffee or hot chocolate. If you've been a follower of this blog for a while, you'll know that there is rarely a week when I don't go out for a coffee with someone somewhere! When it comes to hot chocolate however I am a lot more picky. I don't like the instant ones which leave lumps of the chocolate powder floating around, and I don't like the overly milky ones. However, one that I can fully recommend is the Milky Way hot chocolate! You simply heat up the milk in the microwave, and then poor this over the powder in your mug and stir. No lumpy bits, and it doesn't taste too milky! I then pile on (probably too many) marshmallows and if you then zap this in the microwave (remember to take out the spoon!) for about 20 seconds, all the marshmallows will melt and you'll have the best hot chocolate! There isn't really much to say for this one, apart from the fact that I love Autumn! If you missed my post about why, you can catch up here. There is a myth of pasta being the staple student food and that we eat nothing else; this isn't true! The only time I eat pasta is because I actually want to or I need something that won't take very long to make. One variation that I have had a lot of this month is that of pasta bakes. All you need is your cooked pasta in a sauce, place this into an ovenproof dish, cover with cheese and grill! Although it is really simple, it's nice to be able to have something slightly different than the standard bowl of pasta. A band that I have been listening to a lot this month is the Foo Fighters. Having long been a favourite of mine this isn't surprising, but Tom, Megan and I managed to get tickets to go and see them in May next year! I am beyond excited and my teenage self would be really jealous! I used to watch Strictly Come Dancing a lot when I was younger, but I had then got out of the habit of doing so. However this year I have really gotten back into it and have been really enjoying it! I'm not sure the rest of my house appreciate it so much, but I think they secretly like it. It's now getting to the stage where it's really hard to call who's going to stay and who's going to go- I don't want it to be over though! Although obviously not a favourite for the whole month, this has made it's way in here as I now feel a bit more human again and not such an essay machine. Even though I obviously still have work to do, I feel that I can take my time over it a bit more, and not have to rush. I know that it is only November, but today's the 25th so that means it's only a month until Christmas and we can now get excited right? (To be fair, I've already been excited for most of the month so...) If you read my last #52weeksofhappiness post from Saturday, you will already have seen this photo! I know people say that it is way too early, and in some ways it is, but I always think the lead up to Christmas is the most exciting part! So there you have it, my November favourites! Is there anything that you've been loving this month? Let me know in the comments! Hello there! How has your week been? The start of my week was still very busy with writing and re-writing essays, but as I handed my last one in on Thursday I am able to have some free time again! Monday saw the return of date night, and this time it was the letter 'B' and was Tom's turn to choose something to do. We went to our local pub called 'The Ball' for tea, (and managed to take up their two meals for £9.95 offer!). It was really lovely in there, and the food was great. 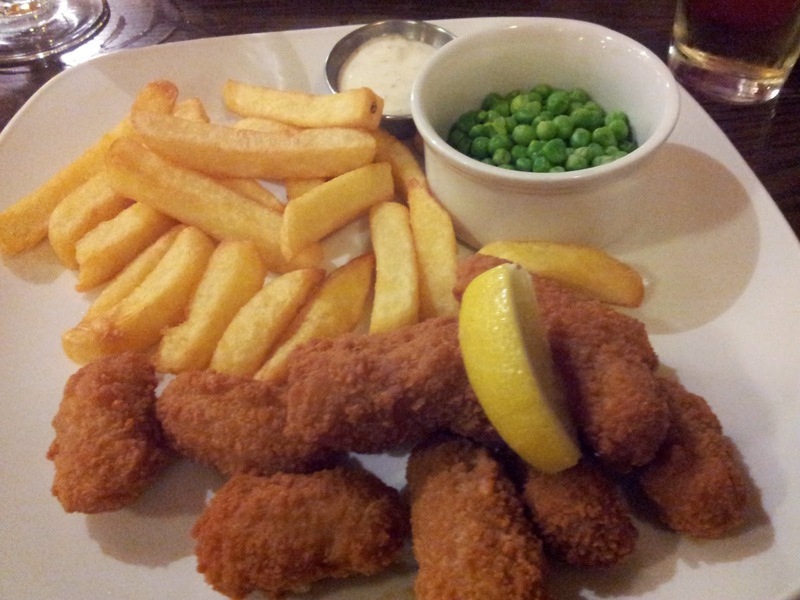 I had scampi, chips and peas and Tom went with the hunter's chicken. Although we were both in the midst of writing essays, we both really enjoyed being able to set aside some time, and just be able to relax. After I had finished for the day on Thursday, Reesha and I took a trip into town for the afternoon. Whilst we were walking past City Hall we saw that some of the Hallam students were graduating and we both got freaked out that we'll be in the same position in a couple of years! We had a lovely catch up and even managed to get a free hot drink each at Debenhams through signing up to their mailing list! My meal at The Ball. 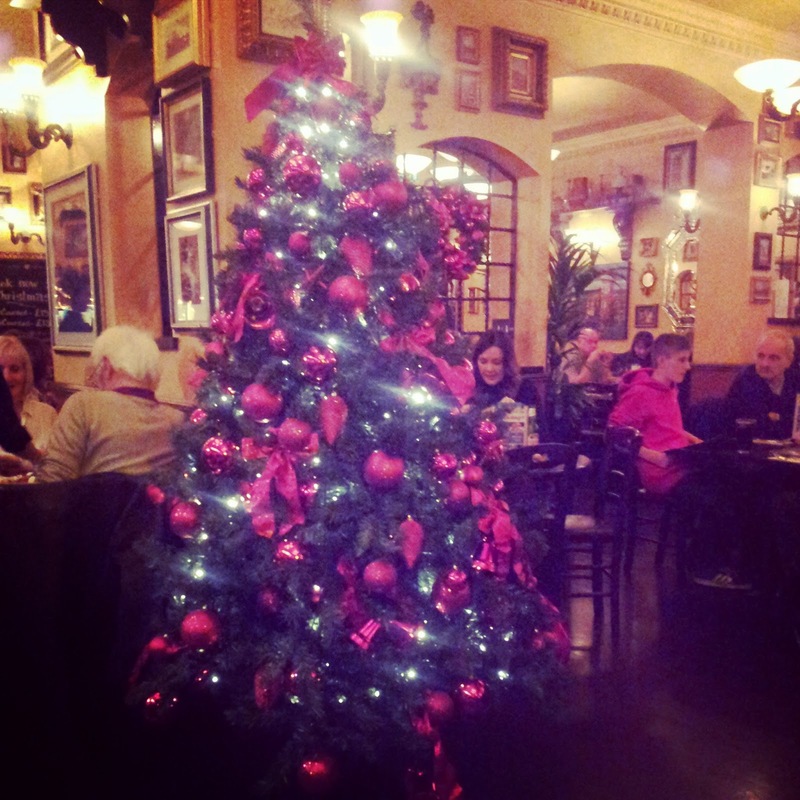 Bella Italia had their Christmas Tree up and it was so pretty! Hello there! Apologies for my second post being a bit later this week- I've been very busy with essays. But my last one is due in tomorrow so I can finally have some free time again hooray! This quote, as always, I have taken off Pinterest and it sums up nicely what my blogpost will be about today. I don't think a lot of people realise this about me, but I am a very anxious person and at times suffer from anxiety. I find that as a part of this, I'll often say no to something, or say yes and then find an excuse to not go. A couple of years ago I realised how limiting this can be, and decided to say yes to a lot more things. They don't have to be big life-changing things, but on deciding to say yes to more I came to get a lot more out of life. I've done things and been to places that a few years ago I would never have dreamed of. Life to me, is about experiencing as much as you can, while you can. I know it is said a lot, but today really could be your last day on this earth, and I can guarantee you will not be sat there thinking 'I wish I had never done that' but rather 'I wish I had done that'. Don't live a life of regrets, go out, create memories, have fun, and don't give up if you fail. I am a firm believer in that everything happens for a reason, and if you make it through the hardest parts of life, something better is waiting around the corner. Don't let the what if's run your life, go out and find out for yourself. I will fully admit that I am an over thinker. I worry. And I always have done. But, I don't allow it to rule me. Sure there will be times where you slip, but you just pull yourself back up again. Life is too short to limit yourself- when are you going to get another chance? Grasp opportunities in life as much as you can. You don't know where it will take you. I invite you all, next time an opportunity arises, to say yes. Hello there! How has your week been? I cannot believe I am now on week 26-that's half way through! 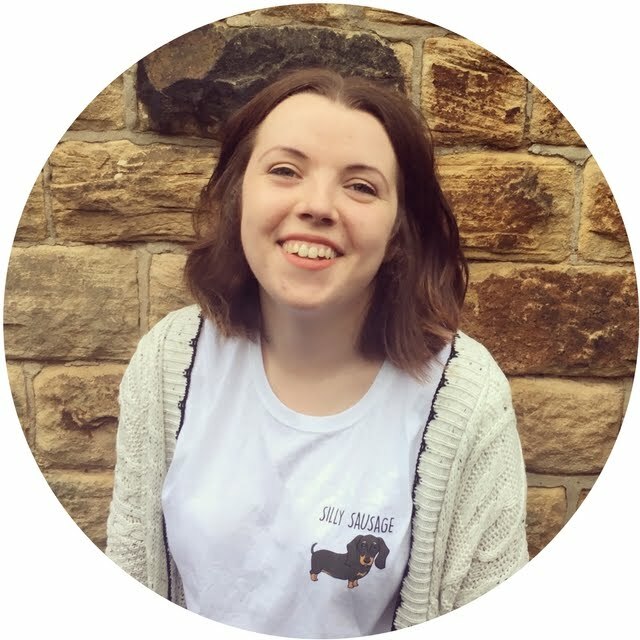 Looking back over my time of blogging I've really been enjoying it, and I have some exciting posts planned for next month so keep an eye out for those (yes of course most of them will be Christmas related- it's only one month of the year so I'm going to milk it for all I can!). This week was reading week (which is basically half term in the University world) and as I have two essays due in next week I've been very busy and feel as if I haven't stopped! I cannot wait until Thursday evening when I will just be able to relax. (It's not all bad though, as I was feeling stressed I did allow myself to buy a dairy milk oreo bar). I'd recently heard about 'alphabet dating' where you basically go out on dates but go through the alphabet. Last night Tom and I began this and as we're taking it in turns, I began off with A. Originally I really wanted to go to an Aquarium, but on discovering there isn't one in Sheffield I became a bit stumped. Being the students that we are, I wanted something that was fun and memorable, but that wouldn't cost the earth. So, with that in mind, we did some 'art'. We both had a sheet of paper, and had to draw something which the other person had to guess. (Sort of like pictionary but minus the board game). We had lots of fun and laughs at some of the drawings that we did! Afterwards, (I know it doesn't begin with A) we watched an episode of the Planet Earth series that Tom got me for my birthday. I had such a lovely evening and was a welcome break from my busy week! Tom is doing date 'B' on Monday, so I'll see what he comes up with! I as per usual have taken this quote from pinterest. I think it fits in nicely with my week. I'm not saying that all of the work I do isn't important, as of course it is, but I think within a busy lifestyle, you are able to appreciate those moments when you just have a night off and have a break to relax. Hello there! I have recently noticed a surge of people eating cookies (mainly from my housemates going to Sainsbury's to buy the packs of 5) and I wanted to try to make my own. I had never made cookies before, and I was so proud of their outcome that I just had to share it with you! I took the recipe from Youtuber Tanya Burr, and you can see the original recipe here, but I decided to only do half of what she used. Hello there! How are you? and how has your week been? Last Sunday I ventured back on the 4 hour train journey to Sheffield, where Tom and Luke came to meet me at the station. (Luckily they could help carry my bags!). I always find it strange after going home for the weekend, to go back into lectures the following day. I had a lovely catch-up with my old flatmate Jade on Monday afternoon, and by the time we left Coffee Rev's, it was dark outside! 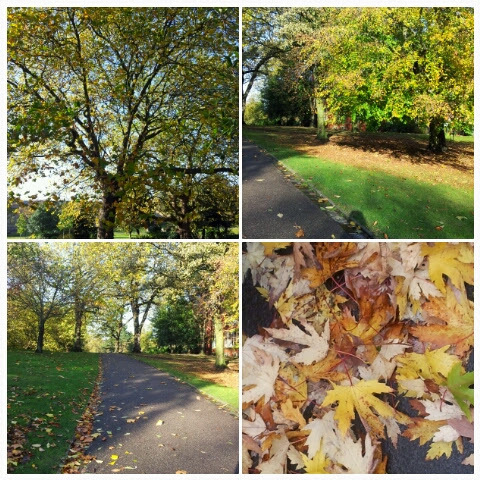 We really are in the depths of Autumn now. I didn't go to any big planned bonfire night celebration, but I, along with my house, went to Bole Hill (where you can view a lot of Sheffield from) in the hope of others having fireworks that we could watch. And do you know what? they did! I did try to take some photos, but unfortunately as my flash kept going off, the pictures didn't come out very well. It was soooo cold that evening, so I took along a cup of tea with me! Yesterday Tom and I went to Meadowhall for the afternoon to do a spot of shopping. I know it's a bit early, but the christmas lights had been turned on the night before so it really got me into the spirit walking round! One of the reasons that I wanted to go to Meadowhall was to visit Primark and pick up some Christmas bedding. I was so lucky as I got the last one in the design that I wanted! (Tom didn't seem to understand my excitement at this fact). In the evening I went out for a meal with my good friend Reesha (who also has a blog, so check here out here) to a local Indian called Zara's which we had never been to before. If you know me, you know that I always, always go for the chicken korma, but yesterday I pushed the boat out to 'Chicken Tikka Korma'. This has the chicken marinated in a way that makes it 'tikka' (I'm not really sure what!) but is then within the korma sauce. This was super tasty and I will definitely be going back with Tom sometime! 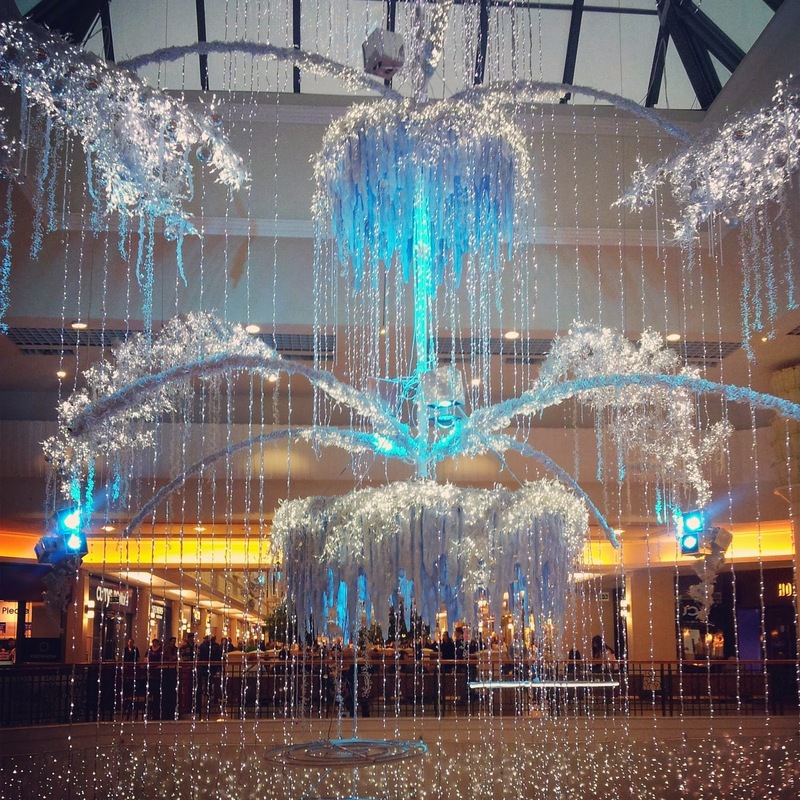 Some of the pretty lights on show at Meadowhall. Hello there! Following on from my original wish list (which if you missed you can read here), my second wish list will be places that I would like to visit within the UK. I for one love going away to different countries to experience different cultures, but I also love travelling throughout the UK and seeing what places it has to offer. Sure you can't guarantee what the weather will be like, but that's just part of the fun. I've been to Southampton, and I've been somewhere where we could see Brighton in the distance (I can't quite remember where this was) but I've never actually been into Brighton. I love the seaside and it would be lovely to go to an area that is known for it's sea-sideiness. Also a lot of beauty youtubers that I watch have recently moved to Brighton- I want to see what all the fuss is about! I have been to Blackpool a couple of times, but this was a lot of years ago now. Tom has never been and I really want to take him so he can experience the vast amount of lights along the tramline. I would also like to go back up the Blackpool tower, but as Tom is scared of heights I doubt this will be happening any time soon! Again, I have been to York a lot of times throughout my life, but this is one of my favourite cities to visit. It's such a beautiful place, and has so much to do! The nerdy side of me absolutely loves the castle museum in the centre- it has a street in the middle set out exactly like it would have been in the Victorian era. 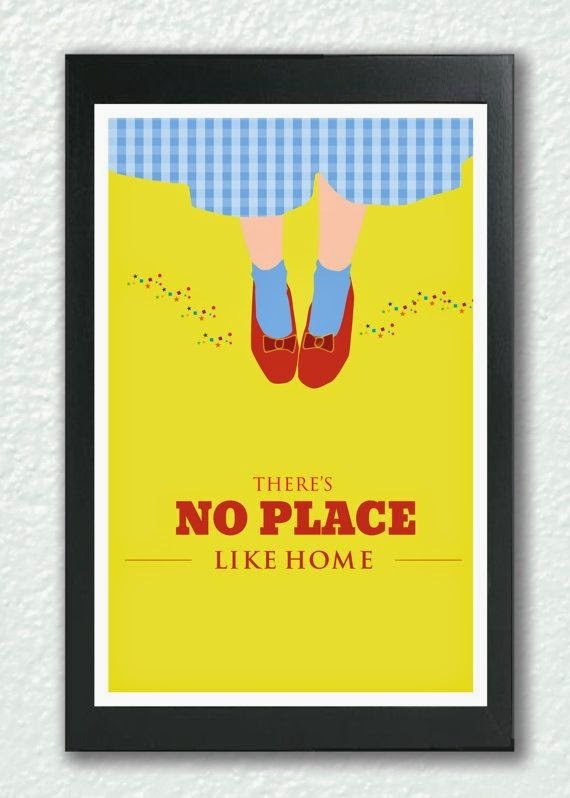 If you ever get a chance to visit it, make sure you do! It's so interesting. I'm sorry, but I'm now realising that in this list there is a lot of 'I've been here before but would like to go again' places. I went for my birthday when I think I was about 9, and we got a flight from Norwich! It rained, but when we went into a cafe and had chicken casserole, I can honestly say it was one of the best meals I have ever had- just because it was hot and I was freezing cold! Hurrah! One I've never been to! My parents went to Liverpool earlier in the year, and they recommended that I go one day. It would be nice to see a city that you hear so much about, plus there is a replica of 'Central Perk' from Friends that I really want to go to! Bristol is one of those places that I've heard about, but never really thought that much of. Sheffield for me was one of these places before I came to visit, and I love it here, so I would like to give another city a go! You always hear about the big two Universities of Cambridge and Oxford, and I have visited Cambridge, so I would like to visit Oxford one day and see what it has to offer! From what I have seen, it looks like a beautiful city, so I would love to see it in person. I have been to Bath. Once. But I can't really remember what it was like, as it was a few years ago now, so I would really like to go again. I think it's nice to re-visit places that you have been to as a child, as you have the previous memories but you are able to create new ones. I've never been to Wales, so why not start off with the Capital? It's always been too far to go to from Suffolk, but I need to look into see how long it would take to get from Sheffield. I'd really like to see what Wales has to offer! Leeds is one of those cities that I had heard of, but I didn't really know where it was. It's only about 45 minutes away from Sheffield, and my flatmate from last year always had the loveliest clothes on, and whenever I asked where they were from she would always say 'rag traders' which is in Leeds! 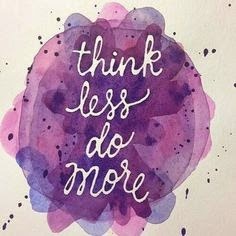 As always this quote is from pinterest, and is another one that I have on my wall! I chose this quote as I think it's a good idea to explore what your own country has to offer- as well as what others have. 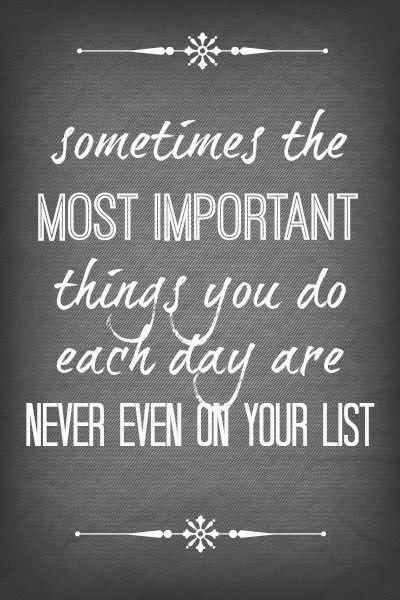 Is there anywhere that you would add to my list? Hello there! How have you been? First of all, I can't believe that it is the 1st November today, where did October go? On Monday I went with a few friends to a Harry Potter quiz at the Union bar. We got 54.5/57 and still didn't come in the top 3! It was really fun, although a lot of people became really competitive. Even though we didn't win, I still had an enjoyable evening! On Tuesday evening I went out with the society to Vodka Rev's, after having a tutorial on 4 Halloween looks. This was really fun, especially as I wouldn't be in Sheffield for Halloween this year so I was able to celebrate it early! Next year I want Tom and I to go in a couple costume, but something strange like shaggy and scooby-doo rather than the more generic couple costumes. On Thursday I came back to Suffolk for the weekend. If you don't already know, I haven't had the best luck with the trains since going away to University. I went home 5 times last year and it was only on the last time that my train was on time. This time a miracle occurred- my train was not only on time, but arrived early!! I think I can safely say that the curse is now over *touchwood*. It's been really relaxing being at home, and I had my 'second birthday' Thursday evening- I felt like the Queen! This afternoon my mum and I are off to see Joseph at the Theatre Royal in Norwich. This is one of my favourite musicals as I always used to watch it with my nanna when I was little, so I'm really looking forward to it! 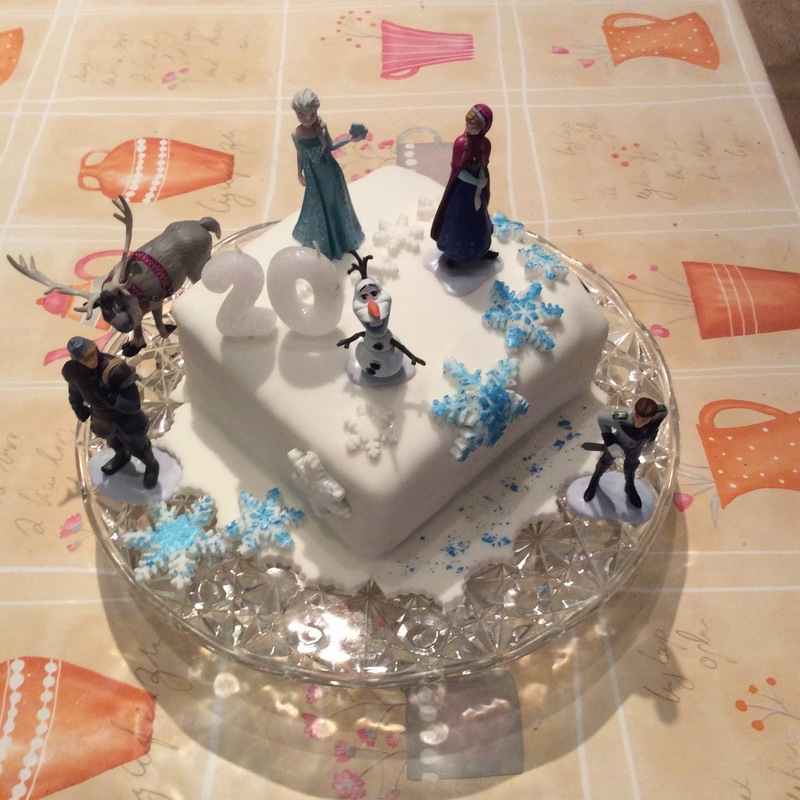 My lovely birthday cake that my mum made- inside is various toned layers of blue! Taking Tilly on a walk yesterday-I miss being able to do this in Sheffield.